Last edited by MageFX on 02 Apr 2019 02:40, edited 9 times in total. 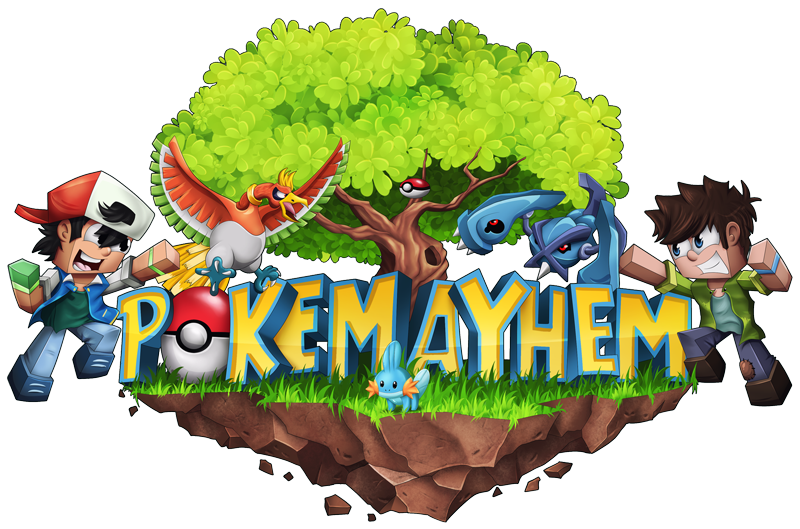 - 20 May 2018 03:02 #203597 PokeMayhem Update!! - New Referral System has been added. - New Arceus Quest ( Obtain this rare legend by completing out Quest for Power quest. - 26 May 2018 15:01 #203602 I just started this server with a friend and its amazing! - New Pokemon Alphabet Capture Quest Added. - New Pokemon Types Hunt Quest Added. - Gotta Catch the all Quest. - All about the Money Quest. - New Hide and Seek Quest Added. - Arceus now obtainable from Shrine or Quest. - 19 Oct 2018 07:40 #203833 - Pixelmon Showdown! Full Access to the PokeEditor, Challenge your friends in battle with OP Teams made in just a few minutes! Want to try random teams? Lucky Block Kits available to give yourself a channel. /server showdownref from our Origins Server. - 07 Nov 2018 11:59 #203849 Feature Update! The Server is now updated to 7.0.1 and working top notch!